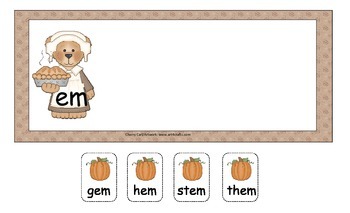 In this second of a series, the little pilgrim baker bear is focusing on short e onsets and rimes. 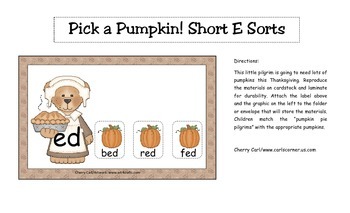 The set has 6 sorting mats along with 33 pumpkin cards with short e words on them. This activity is simple to assemble. 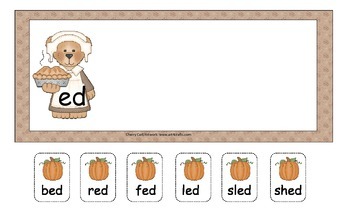 Place this in your literacy center with the other 4 Pick a Pumpkin Onset and Rime Sorting Sets.